Japanese automaker Toyota has killed plans for a widespread launch of its second all-electric car, the eQ, citing a drastic misreading of the market and capabilities of electric vehicles. Electric cars are becoming more ubiquitous with the Chevy Volt, Nissan Leaf, and Ford Focus Electric all attracting headlines for breaking ground. However, Toyota could now be casting doubt on the viability of these vehicles. 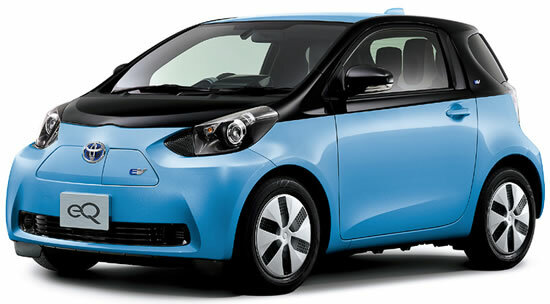 In 2010, Toyota said it would sell several thousand of its battery-powered eQ when it officially launched the new model. Now it plans to sell just 100 eQ vehicles in the U.S. and Japan. Toyota will launch just a single all-electric vehicle in the U.S., a new RAV4 that was developed with Tesla Motors. The company thinks it will sell 2,600 of the new RAV4 during the next three years. The company will instead refocus efforts on its successful hybrid cars. Toyota said it plans to have 21 new hybrid gas-electric models that are similar in nature to the popular Prius ready to go by 2015.